This is a hybrid CPR course. 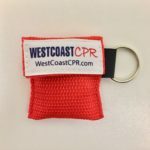 Blended CPR classes are a combo of an online CPR course, and a quick 1 hour CPR skills session at WestCoast CPR training center in Shoreline. CPR and first aid certifications are valid for 2 years and comply with OSHA and workplace requirements. Receive a CPR First Aid certification card immediately upon completion of class. No written test required. The video-based online CPR First Aid course will be emailed to you within 15 minutes of registration. You will need a high speed internet connection and a flash player. Enroll and pay for your preferred class date and time below. Complete the online video course before your scheduled class date. Attend your scheduled class at WestCoast CPR Training for a hands-on skills practice session. Online Training Time: Learn at your own pace, Typically takes 60 minutes. Classroom Time: 1 Hour or Less! How To Enroll: Complete the Student Signup form below. Create a Login ID and Password. AcctCode, Department, and CreditCode must be blank. Submit form and proceed to payment screen. No Refunds. Students can reschedule a skills class at no cost with 24 hours advanced notice. Student arriving more than 10 minutes late will not be permitted to attend, reschedule, or be eligible for a refund. If a student does not show up for class or is more than 10 minutes late, a make-up class can be scheduled by contacting our training center. Make-up classes are $40 each. Is this considered an online CPR course? No, because our Blended CPR programs are only partially online. A hands-on practice session is included in the package. CPR/first aid app for your smartphone, CPR/first aid handbook pdf, and receive courtesy reminders in 2 years 60 days before your certification expires. Learn More. Frequently Asked Questions.